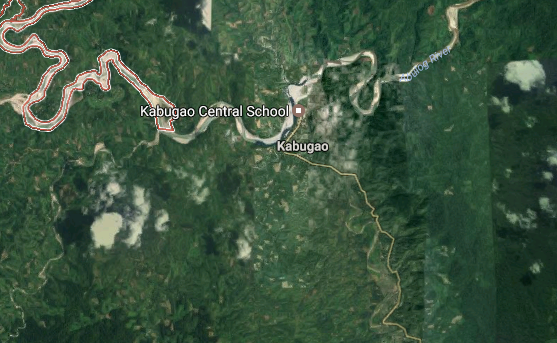 According to reports from the Cordillera police, a male teacher was fatally shot by his own father-in-law during a heated argument in the town of Kabugao in Apayao. The incident happened a few days ago. The teacher was identified by the authorities as a certain Jaime Tamayo Enciso, 45 years old and a resident of said town. The suspect was identified as Peter Patayan, 68 years old and the father-in-law of Enciso. Patayan is a retired government worker. According to the Kabugao police, their investigation showed that there was a previous altercation between the two men before the shooting incident. Enciso allegedly went to Patayan's residence and threw rocks at it. He was reportedly looking for his wife, the daughter of Patayan. He was also under the influence of liquor, according to the Kabugao police. After the incident at Patayan's residence, an argument ensued which prompted Patayan to get hold of a firearm and shoot Enciso with it. The bullet went through Enciso's chest. He was rushed to the Apayao District Hospital but he was declared dead on arrival by the attending physician. Patayan fled after the incident. Fast fact: Kabugao is the capital town of the province of Apayao. The latest census conducted in 2015 shows that the town has a population of 15,500 people. The town is composed of 21 barangays. These are as follows: Badduat, Baliwanan, Bulu, Cabetayan, Dagara, Dibagat, Karagawan, Kumao, Laco, Lenneng, Lucab, Luttuacan, Madatag, Madduang, Magabta, Maragat, Musimut, Nagbabalayan, Poblacion, Tuyangan, and Waga.